Come and see this elegant, historic, San Francisco style condo in Denver's Uptown Neighborhood! This rarely available one bedroom, one bathroom unit features soaring twelve-foot ceilings, refinished hardwood floors, updated kitchen and bathroom, as well as stately moldings and trim. Located in the rear of the building, one would never know that busy 17th Avenue is at your doorstep along with easy pedestrian access to the likes of Downtown, City Park, bars, boutiques, restaurants, and public transportation. Common area amenities include gated reserved parking, large private storage unit, laundry, bike storage, and workout room. 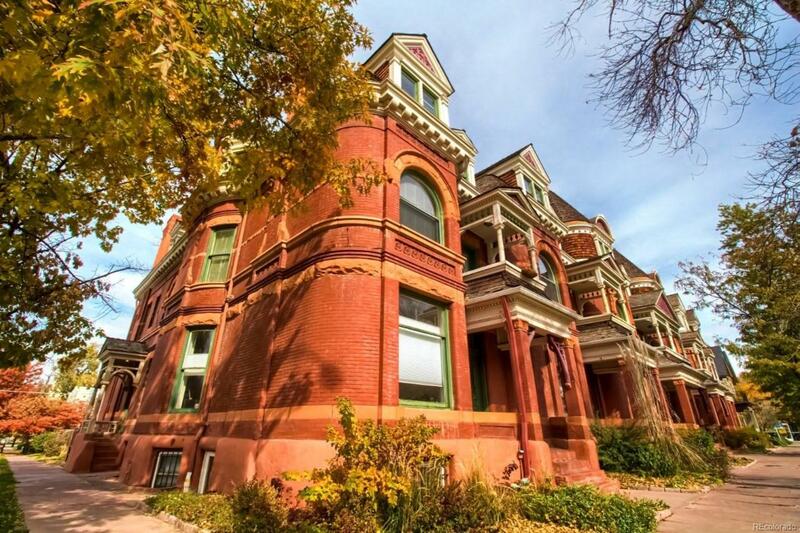 Seize your opportunity today to own a piece of Denver's history in the heart of the city!